As we grow older, there are many things we leave behind. Some, because they were easy to forget, and others, because they weren't that important in our lives. However, no matter how young we are, the things that matter the most to us, stay with us forever. Such are, the very valuable lessons we learn from family and books at an early age. Although I was very young, I still remember having my mother tucking us in, and asking both my brother and me if we wanted to hear a bed-time story. Funny how she always asked us, when she knew that the answer was undoubtedly going to be 'yes' every time. Because the text was complicated at times, and we were so young, we would pay extra attention to the story as my mother would read it; following her through the wonderful art that these books displayed. I have to confess that in some cases I hardly remember the name of the book, however, I remember the stories, the art, and the lessons to be learned. That is why, to me, those are my most precious memories as a kid. Not only did I learn these valuable lessons, which I believe made me a good kid, but I also appreciated the art, making me fall madly in love with the concept of creativity inspired by great authors. To be honest, I believe that story-time creates one of the strongest bonds that parents and children have, because it is a teaching moment, and as thinking individuals, no matter our age, information is the most valuable thing we will ever have aside of love. Let's face it, we all have at least one particular story that we loved as a kid, and that we still hold dearly to our hearts. That is why I am humbly honored to be working alongside “i See Me!”, to introduce their thoughtful products to all our readers throughout our blog. "i See Me! ", is a multi-award winning company, which specializes in personalized books for children. These books are beautifully created, and the way they are written, helps the little ones learn how to understand and read their own names. 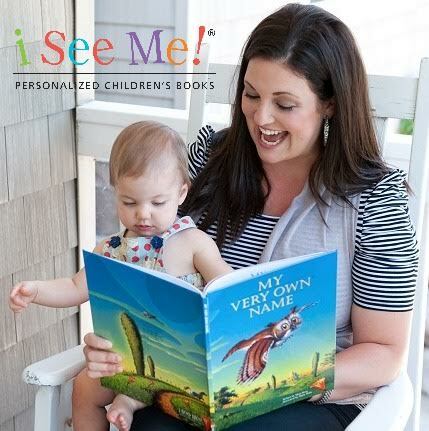 Having a personalized book, in my opinion, makes story-time very special, because your kids are participants in every adventure and fairy-tale from "i See Me!" books. Not only do this line of books have the written content personalized with your little one's names, but in some cases, the characters can be personalized in order to match your little one's physical appearance, meaning: skin and hair color. The black square next to my niece's name is to protect her privacy. When you order your personalized book from "i See Me! ", your child's full name will appear in this section of the book's Title Page. I must say that I really enjoy the fact that these books are hard covers. In my opinion, books like this tend to last longer, considering that these books are sometimes handled by kids. "i See Me!" books, provided me with the personalized book that I have been showing in the pictures from this blog post. In this book, I really enjoyed the way my niece's name was used. It makes it fun to try to find it in the detailed and colorful illustrations. I must say that I really enjoyed the quality of the art and the lovely story in "It's Fancy Being Me", but most of all, knowing that my niece is going to love seeing herself as the main character. I know in my heart that gifts like this one, are very special for kids, because I had the blessing of enjoying fun books like this too. And although my books were not personalized, every book was a treasure we still keep for our own kids in hopes that they will treasure them too. Nonetheless, I am so fascinated by all the different stories that "i See Me!" has available, that I would love to add some of them to our collection. In my opinion, there is nothing more exciting than seeing your own name in great quality products. And when you add to that, the magic of story telling; prepare yourself to unleash your little one's creative imagination in a super fun way. I highly encourage you to visit "i See Me!" books, and check out all the books they have for different occasions. These make excellent gifts, I can assure you that. If you can't wait to get your own, you'll be happy to know that starting today, February 21st, and until February 23rd, "i See Me!" is offering their biggest discount yet! 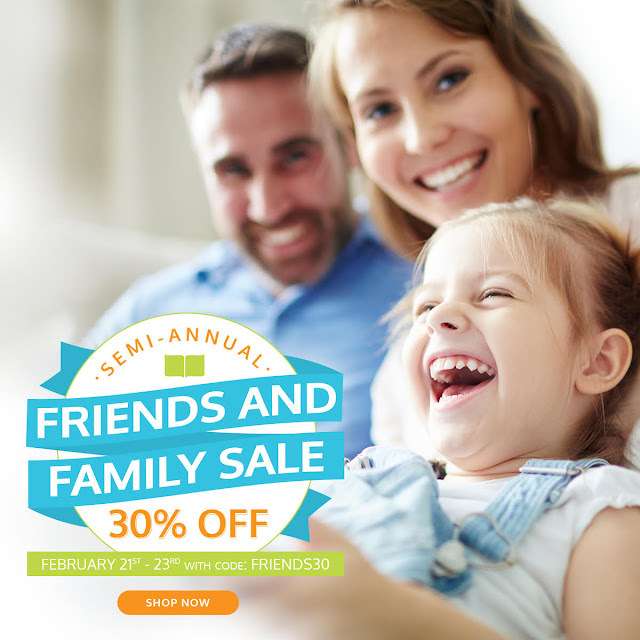 Save 30% off in the Semi-Annual Friends and Family Sale from "i See Me!" Let us know in a comment below, if you have heard of "i See Me!" books before, or if you already read some of their books to your kids. If you haven't, we'd love to know which of their books you'd like to have and who would you give it to. Love this content? Subscribe to our blog or follow us through social media. We love to offer great content just like this one to our online community, and welcome all new subscribers. Until next time, remember to smile, because it's contagious!